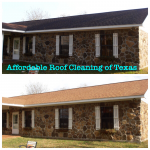 Why Choose Affordable Roof Cleaning of Texas? 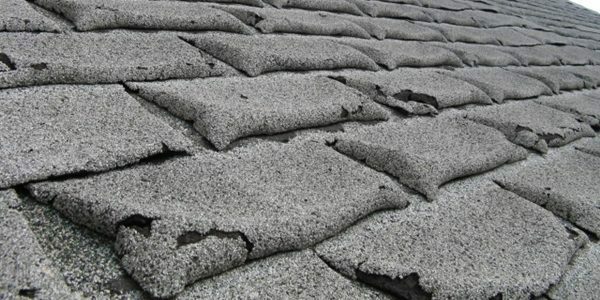 At AFFORDABLE ROOF CLEANING OF TEXAS, or ARCOT, we specialize in safe, effective, no pressure roof cleaning. Our Soft Wash process quickly and effectively removes Gloeocapsa magma Algae (those black stains & streaks), moss and lichens. 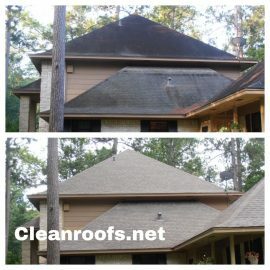 We are Houston’s premier full service roof cleaner, offering not only roof cleaning but all roof repairs and roof replacement. 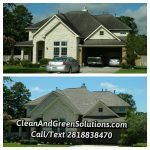 Our Houston cleaning solutions are immediate and long lasting yet safe on the environment, your home, family, pets, and any adjacent landscaping. Our cleaning process follows the procedures accepted by the Roof Cleaning Institute of America (RCIA) and are also approved by the Asphalt Roofing Manufacturers Association (ARMA). Unbelievable... 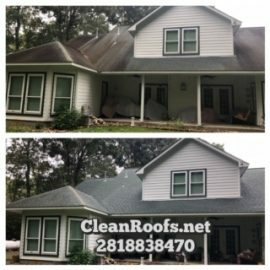 I was blown away... my roof looks brand new and I thought I was going to have to replace it. I am so glad I didn't. Thank You Thank You. Doug, I hope you are ready, the neighbors are asking how much I paid for my new roof. They were shocked to find out it was cleaned and not replaced. I am sending out an email to all the neighbors so they all have you information. Thanks so much. I love my new roof..he he..